A NEW ALLY AGAINST AGEING, WHICH NOURISHES THE DERMAL CELLS AND RESTORES FIRMNESS OF THE SKIN, WITH A PROLONGED DURATION. 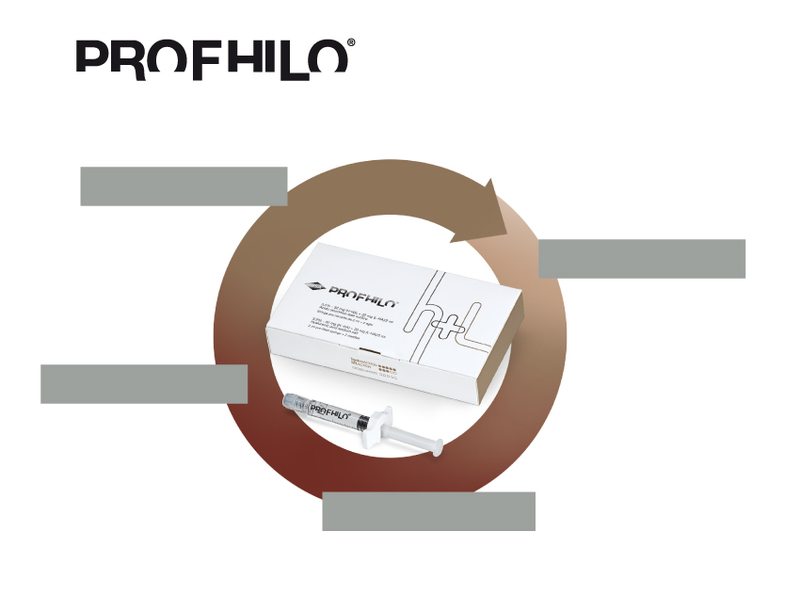 Prophilo is an innovative and highly rejuvenating treatment that works directly on skin laxity. The treatment offers double action thanks to its composition. The bioregenerating action of this amazing product is the direct result from the double concentration of low molecular weight hyaluronic acid, which stimulating endogenous production of HA. The firming effect is the result of high molecular weight of hyaluronic acid then neutralises the laxity of the skin and remodels face.